So which countries are eligible to take part in the Games? The Commonwealth Games Associations are 71 recognised organisations responsible for preparing, selecting and sending a team of athletes and support staff to compete in the Games. The first Commonwealth Games were held in 1930 in Hamilton, Canada where 11 countries sent 400 athletes to take part in 6 sports and 59 events. Bobby Robinson, a major influence within athletics in Canada at the time, finally implemented the event that had been talked about amongst Commonwealth nations for over thirty years with the City of Hamilton providing $30,000 to help cover travelling costs of the participating nations. Since then, the Games have been conducted every four years (except for 1942 and 1946 due to World War II) and the event has seen many changes, not least in its name. From 1930 to 1950 the Games were known as the British Empire Games, from 1954 until 1966 the British Empire and Commonwealth Games and from 1970 to 1974 they took on the title of British Commonwealth Games. It was the 1978 Games in Edmonton that saw this unique, world class, multi-sports event change its name to the Commonwealth Games. Often referred to as the 'Friendly Games' only single competition sports had been on the programme from 1930 up to and including the 1994 Games in Victoria. The 1998 Games in Kuala Lumpur saw the introduction of team sports, whilst the 2002 Games in Manchester introduced a limited number of full medal events for elite athletes with a disability (EAD). So where have the Commonwealth Games been held? In 2022 the Commonwealth Games will be held in Birmingham, England. The CGF and International Paralympic Committee have also established a list of 4 core Para-Sports for elite athletes with a disability, which host cities must include. They can then include events from up to an additional 3 listed optional Para-Sports but not exceeding 20 events, which must be fully integrated into the overall Sports Programme. Note: With effect from 2022, table tennis will become one of the compulsory core sports. 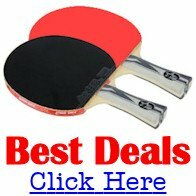 So when did table tennis first appear at the Games? Table Tennis first appeared at the Commonwealth Games in Manchester, England in 2002, and has featured in all subsequent Games.